Chop leg of lamb into pieces; cook and brown the lamb well all around. Cover and cook over high heat until boiling; reduce heat and simmer until meat is tender. 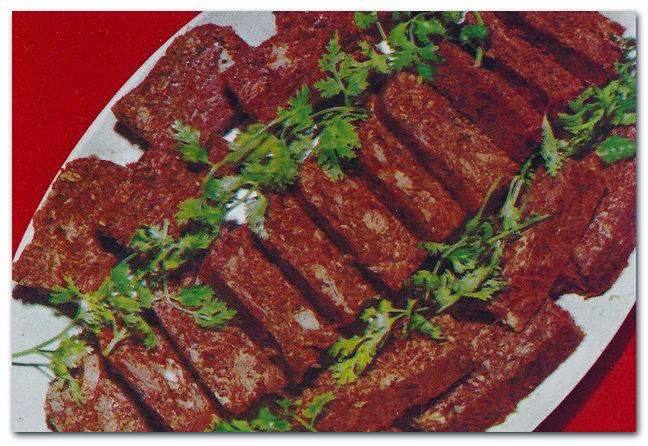 Remove all bones and then completely ruin the lamb by adding softened gelatin. Don’t forget to remove the layer of solidified fat from the top before serving. Previous PostTeenage Hi-FiNext PostHappy New Year!